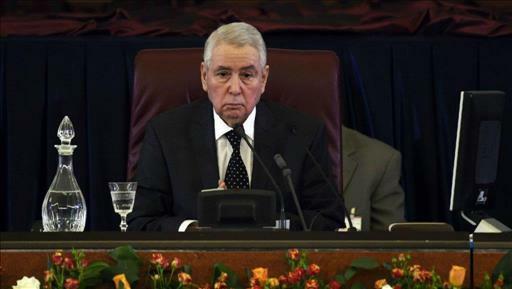 (MENAFN - Daily News Egypt) Algeria's parliament named Abdelkader Bensalah as interim leader to replace former President Abdelaziz Bouteflika, who resigned last week under pressure from a pro-democracy protest movement. Bensalah, who is leader of the parliament's upper chamber, will be appointed as president for a maximum of 90 days in accordance to the constitution until a new election can be organised. The move by the parliament follows constitutional rules but goes against the demands of the demonstrators, who have pushed for Bensalah and other top politicians to stand down. The new Algerian President Ben Saleh, pledged in his first statement on Tuesday that 'he will seek to hand over power to the people very quickly, and that the constitution has imposed a heavy duty on him to bear responsibility in order to achieve the people's aspirations." "I pledge to return at the earliest date the word to the people and the election of a new president for the republic,' he declared, stressing that he would assume his responsibilities on the strict application of the constitution." On Friday, thousands of demonstrators took to the streets of Algiers demanding a comprehensive reform of the country's political structure for the seventh consecutive week. The demonstrators are pushing for the overthrow of three people, the National Assembly Speaker Abdelkader Ben Salah, the Constitutional Council President Tayeb Belaiz, and Prime Minister Noureddine Badawi. Also, protesters demanded that all the men of the old regime to leave, including Bouteflika's brother Saeed.